My name is Sheri Crigger, and I am one of the Huntsville City Schools District College & Career Counselors. I will be working at Grissom, Johnson, and Lee High Schools during second semester. You can find me in the Guidance Office at each school one to two days per week where I'll be working with students and parents on plans for life after high school including college, military, scholarships, financial aid, and more! I can be reached by email at sheri.crigger@hsv-k12.org or by phone (voice or text) at 256-529-8842. Students, you can also sign up to meet with me in your Guidance Office! 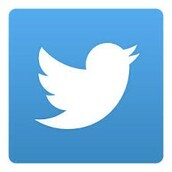 We are posting reminders and information about scholarships, deadlines, interesting college and career facts, etc. Check it out! The FAFSA (Free Application for Federal Student Aid) opened for our seniors on January 1. - The application can be found online at www.fafsa.gov, and it is FREE! Make sure you go to the correct website to get started. - There's TONS of information on the FAFSA website to help you - a list of documentation needed, a list of questions found on the application, and more. Find all this helpful information at https://studentaid.ed.gov/sa/fafsa. - Begin gathering your documentation now! - Consider filing your taxes early this year. After e-filing your taxes, you can access your income and tax information directly by using the IRS-data-retrieval tool within your FAFSA application. This saves time and also ensures accuracy! - The earlybird gets the worm! Some federal funding is distributed by the college and is limited. Submit your FAFSA early to have the best chance at this funding! Our good friends at the North Alabama Center for Educational Excellence (NACEE) are experts in the financial aid process! Parents and students can call or stop by their office to ask questions. Or, you can take your documentation to their office and someone will sit with you to fill out the application. NACEE is located across from UAH at 513 Sparkman Drive NW, Huntsville, 35816. The office is currently open from 8 am to 5 pm, Monday through Friday. Extended hours will be available later this month and into February. Please feel free to contact them with questions @ (256) 372-4600. College Scholarships - Some colleges have a specific scholarship application that must be submitted online. Make sure all your materials are submitted, and don't miss the deadlines! Coming soon - Auburn scholarship deadline is Feb 10, and Calhoun deadline is March 1. Local Scholarships - January - March is a busy season for scholarships. All local scholarship information is posted in Naviance. Log into your account @ succeed.naviance.com and click "Colleges" then scroll to the bottom for the "Scholarship List". 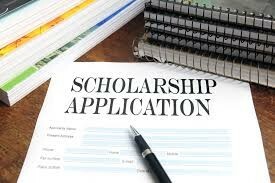 Click on each scholarship to learn about eligibility and to access the application. Check this list often to see what's new! Check out some of the scholarships currently posted - log into your Naviance account to access the list. 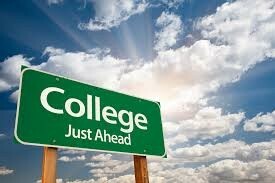 Unsure of your plans for life after high school? Haven't applied to college yet? Need more info on a career in the military? Need a back-up plan? It's not too late! Many colleges are still accepting applications for Fall 2016. I'd like to talk to you about your options, and I look forward to working with you! Please contact me using the information below or sign up to see me in the Guidance Office.